How many products can you name that contain palm oil? But what about shampoo, bread and ice cream? Or lipstick, soap and chocolate? We certainly couldn’t name any outside of the spreads. And yet, in our recent study into veganism, many respondents pinpointed palm oil as an emerging foe. Were they, like us, blinkered by spreads? Or are consumers more aware of the enemy than we think? 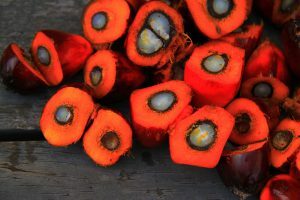 How does palm oil compare to other environmental concerns? And how does the use of palm oil in products affect propensity to purchase? Many vegans are, arguably, more concerned about the environment than most. So we spoke to respondents with a mixture of environmental concerns, if any. The majority had a basic awareness of the environmental impact caused by palm oil production. However, like us (yay! ), there was a real lack of knowledge about the products where palm oil appears. As such, peoples’ purchasing behaviour hasn’t really changed. The exception to the rule being peanut butter, which had the strongest associations with palm oil. However, all we need is an plastic-esque media sit shtorm for that to change. Currently, consumers struggle to visualise the effects of producing palm oil. It’s not something that’s tangible for them. They’re still distanced from it. But, like plastic, once they see it, it’s unlikely they’ll unsee it. This study into palm oil was part of our Sustainability Series which also covered plastic packaging. We’ll be sharing our findings on consumer concerns and the resulting opportunities in plastic packaging and palm oil via webinar at 4pm GMT on 9th August.